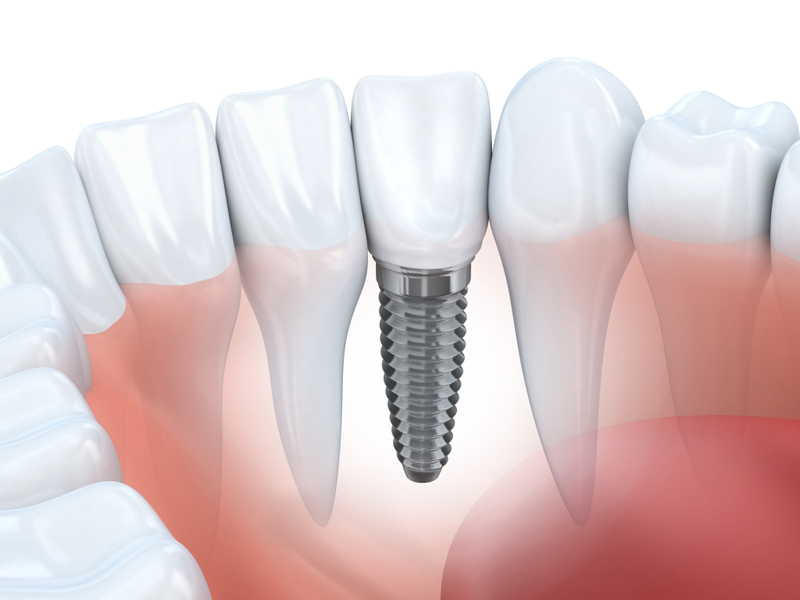 Dental Implants are an excellent alternative to removable dentures and conventional bridges in cases where adequate healthy bone allows for the procedure. Dental Implants fuse to the jaw bone and then support a tooth (or teeth) that are similar to one’s natural teeth in both appearance and function. Today, those with little bone to support implants are able to have bone grafting techniques allowing for implant placement. Dr. Sokoloff works with only the finest specialists who participate in the treatment to diagnose, place, and maintain implants.